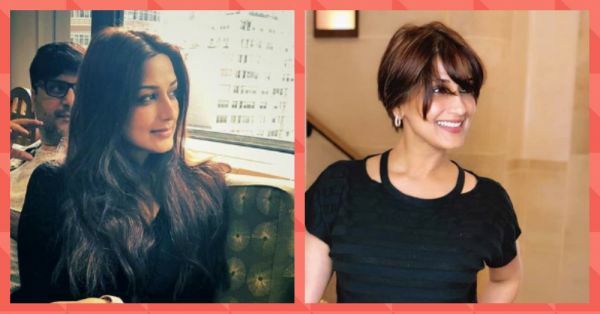 Last week, Sonali Bendre shared with her fans that she has been diagnosed with high-grade cancer and she is battling it with the help of her loved ones. Today, the actress shared another post on Instagram that proves she is fighting cancer head-on and she's maintaining a positive outlook towards it. Sonali's post is truly empowering; don't miss the video of her hair on the second slide, accompanied by a caption that will bring tears to your eyes. Let's be honest, she is totally killing it with this new look! Bollywood has collectively come out in support of the actress, sending her love and support while commending her on her bravery. Here are some comments from her recent post. While everyone is praying for her to get better soon, Sonali is owning her situation like a true boss lady and we are so proud of her!